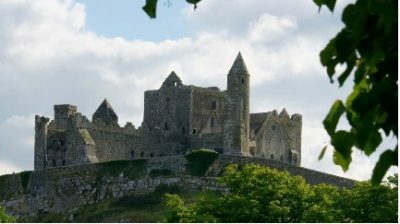 The South Tipperary genealogy centre is located in Brú Ború Cultural Centre, which is situated at the base of the historic Rock of Cashel. Brú Ború is a regional centre of Comhaltas Ceoltóirí Éireann, the Irish cultural movement founded in 1951 and with over 400 branches worldwide. It incorporates a folk theatre, restaurant, craft centre, subterranean exhibition and art gallery alongside the South Tipperary genealogy suite. Brú Ború opened its doors in 1991 and thus became the permanent home of South Tipperary Genealogy Centre. The Genealogy centre is run by Deirdre Walsh who has a degree in History and Irish from the National University of Ireland Galway, received her post graduate qualification as a Librarian from University College Dublin and also studied Family History in conjunction with Maynooth University. Deirdre has run the South Tipperary Genealogy Centre since 1994. The genealogy centre offers a research service to those wishing to trace their South Tipperary roots. Since 1991 the centre has assisted thousands of people throughout Ireland, Great Britain, Australia, New Zealand and the USA to find their ancestors. ‘I am delighted, at long last, to have details of my ancestors and their history, I appreciate all the research you have done for me’: Patricia White, Huntly, New Zealand. ‘I am now home again after a very memorable and satisfying trip to Cashel and Bansha Castle thanks to you. I am very appreciative of all the help you gave me’: Marilyn Hayward, Perth, Australia. We concentrate mainly on records from the 19th and early 20th Century including Civil Births, Deaths and Marriages 1864-1921 and RC parish records dating from c. 1800 (can be searched online here). We also have the land valuation records – Tithe Applotment Books and Griffith’s Valuation of Tenements, the 1901 and 1911 Census returns and Gravestone Inscriptions for South Tipperary. Miscellaneous records used include: The Civil Survey of Co. Tipperary 1654, The Hearth Money Rolls for Tipperary 1665-7, Land Owners of Co.Tipperary 1871 and various Ship Listings of Immigrants to Australia in the 19th Century. We offer a number of research options from a single record search to a full comprehensive search. We are also available to meet with clients for consultation and advice.